The Hotel Metropole Monte-Carlo is the award-winning deluxe 5* hotel in Monaco, located just off the legendary casino square in Monte-Carlo. This prestigious hotel was originally built in 1886, staying true to the Belle Epoque style that had become so popular during that era. In 2004, the hotel underwent a complete renovation to enhance its already sophisticated style. Blending contemporary inspiration with touches of timeless luxury, the building embodies the old-world glamour and modern allure of the Principality, making it a truly refined oasis of opulence in the heart of Monaco. The Metropole features incredible rooms and suites, all decorated to an impeccably high standard yet with individual character and charm. Most feature spectacular views of the sea and the bustling city of Monaco yet also benefit from privacy and intimacy guests will yearn for in this fantastic building. 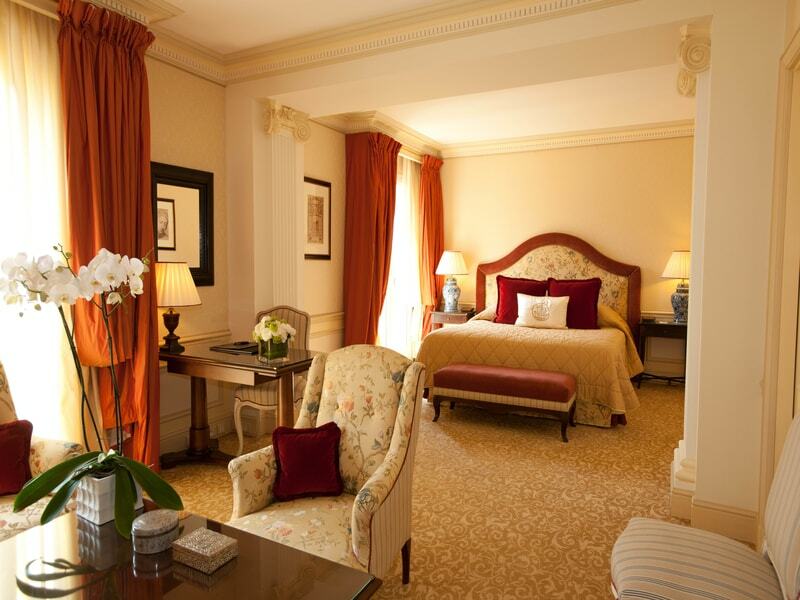 These beautiful suites are the highlight of the Hotel Metropole and include the Prestige, Azur or the Carre d’Or. The Prestige Suite features a spacious living room, private terrace and large en-suite bedrooms. 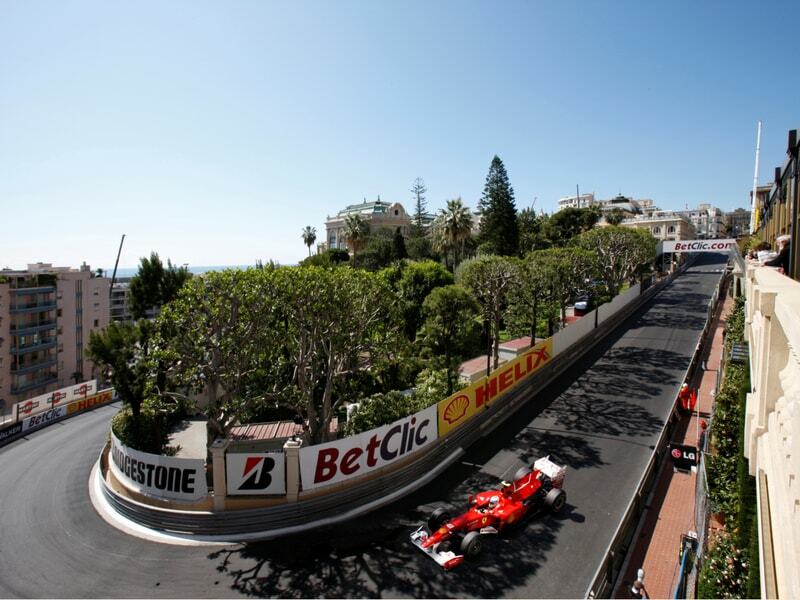 The Azur Suite is located on the ground floor of the hotel and benefits from beautiful views of the Casino gardens and the exhilirating Monaco Grand Prix race circuit. Finally, the Carre d’Or Suite is the true gem of the building. Found on the top floor, the suite offers guests unrivalled views of the Monte-Carlo Casino as well as a spacious living room, large bedroom and a luxurious gold and marble bathroom. 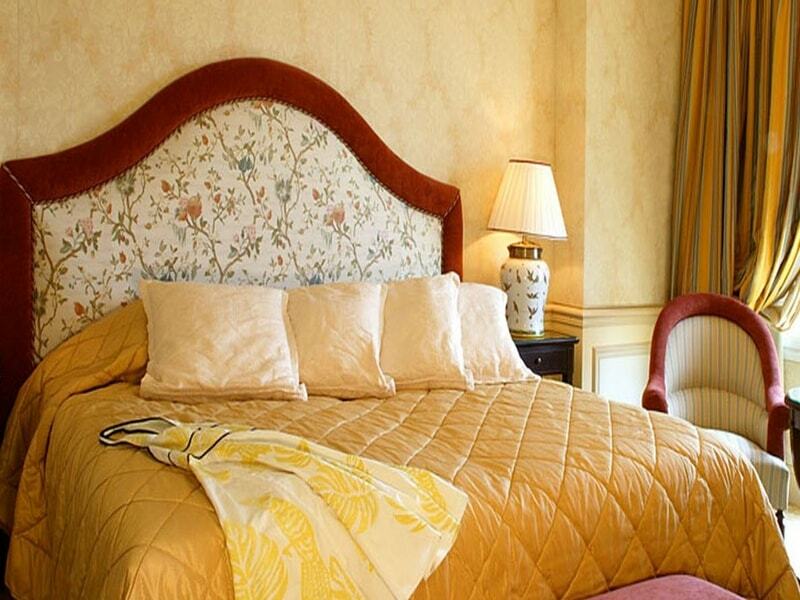 The multitude of suites available to guests at the Hotel Metropole are symbols of luxury and charm. With a view of the city, Superior Suites are large, functional and glamourous. The Deluxe Suites include mahogany and marble bathrooms whilst the Junior Suites all include magical works of art and decor of warm chocolate and gold tones. Rooms within the Hotel are filled with light and a perfect mix of intimacy, comfort and luxury. Located on the ground and the first floor of the building, the rooms allow guests to appreciate the views of the city or the cypress-lined avenues. 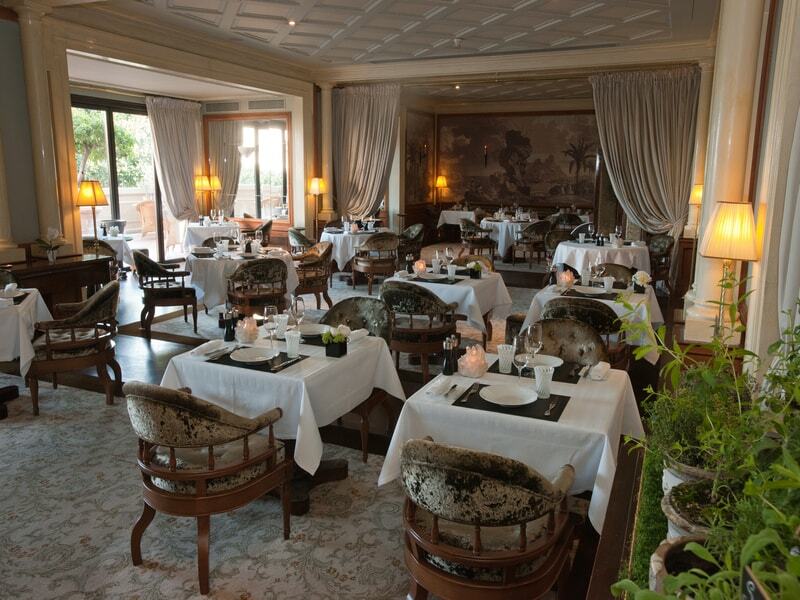 The Hotel Metropole features fantastic restaurants to showcase some magnificent gastronomy talents. 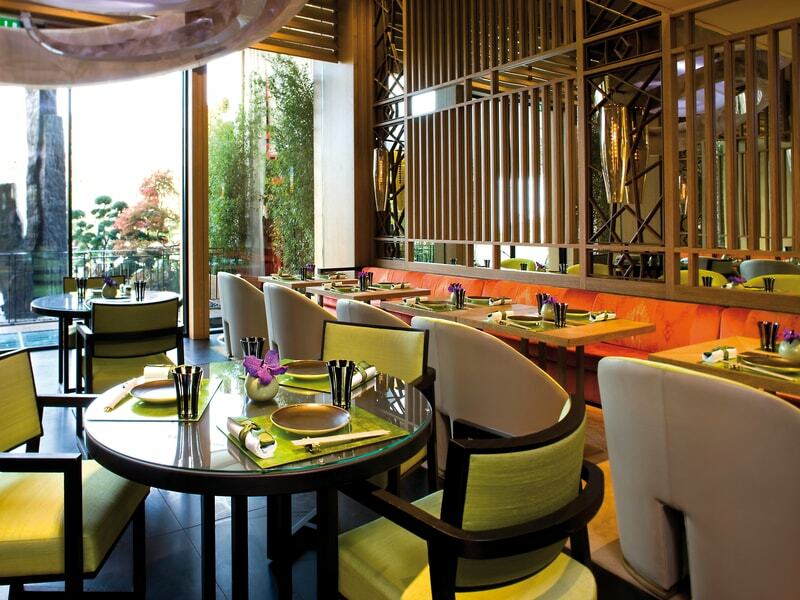 With 2 Michelin star eateries to try, guests will have the choice of some of the world’s finest cuisine. 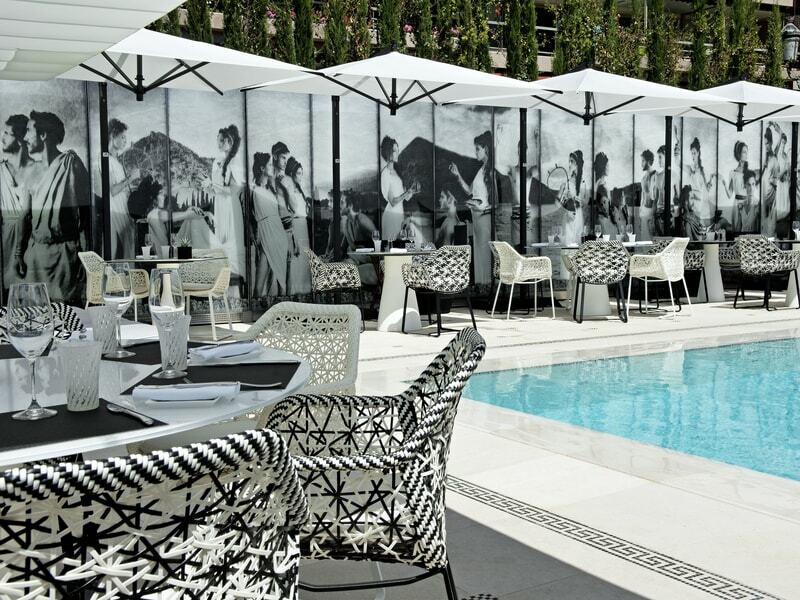 The hotel’s main restaurant, Joel Robuchon, offers sophisticated Mediterranean dishes whilst the Japanese restaurant, Yoshi, brings flavours from the East and the West to combine remarkable flavours guests will never forget. The enticing Odyssey, created by King of Fashion Karl Lagerfeld, features an idyllic salt-water swimming pool and beach area as well as beautiful gardens and a sun deck. In addition to this space, Joel Robuchon’s third restaurant is also located here and offers seasonal dishes to tantalise you! The Metropole Espa offers sublime relaxation and well-being treatments to ensure all troubles, aches and pains melt away. Combining modern techniques and ancestral therapies, the espa includes multi-talented therapists to bring a fully personalised experience. 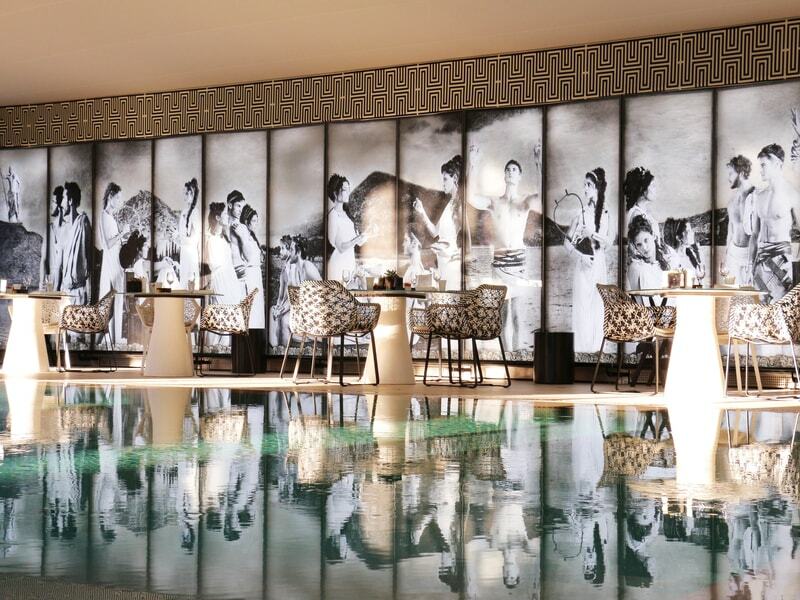 The Metropole Espa has recently collaborated with top designer, Givenchy to create a lavish array of treatments and products for guests to try. A fully equipped gym and personal training is also available.